*7cm of fresh snow has fallen in the last 24hrs in Hirafu Village. At 7:00 today the temperature was -10°C. A cold clear start to the day but the clouds are moving in quickly. 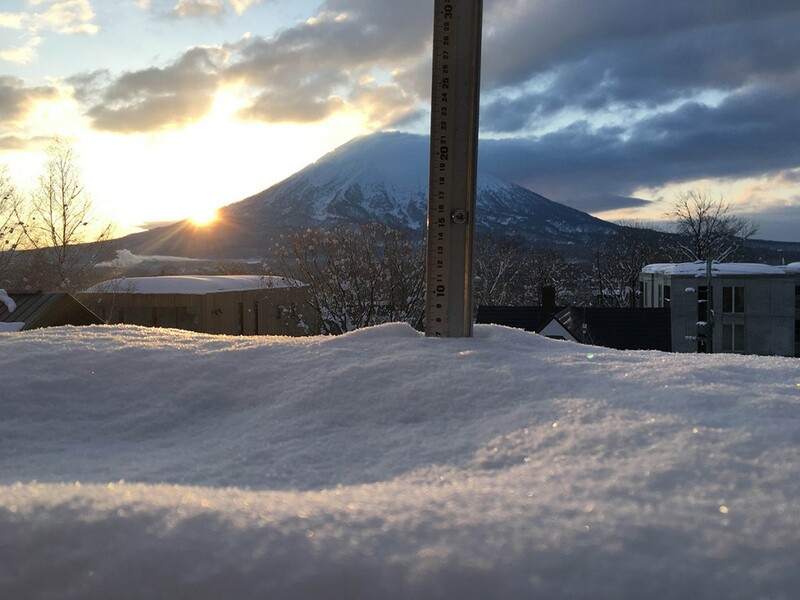 The snow that has accumulated on the snow station came down yesterday and it was a clear evening here in Niseko.This morning the groomed skiing will be fantastic and there should be some sweet pockets of powder still up for grabs – woof woof! 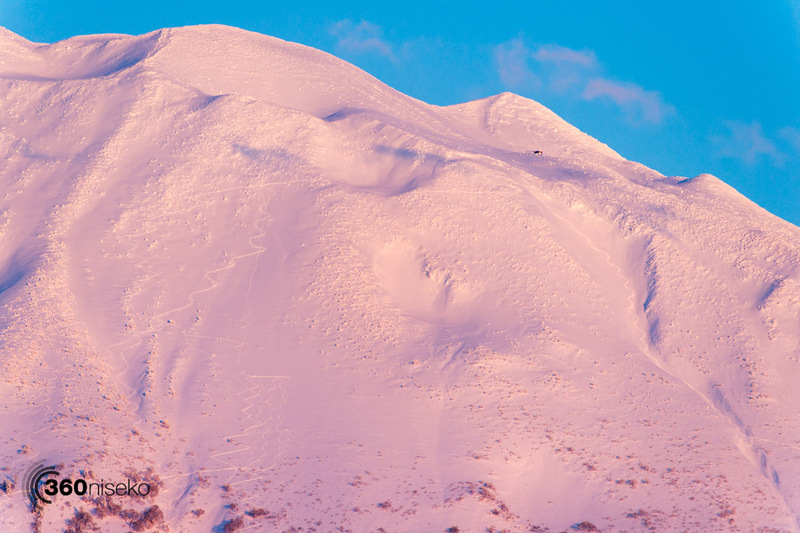 Always interesting to look up at Mt.Yotei and the end of the beautiful day and see who put tracks in….yesterday it was a spectacular sight!